“Spider-Man: Homecoming” has what is probably my favorite ending moment of any movie in quite some time. If you're laughing with delight as the ending credit sequence rolls then you need to check your pulse. 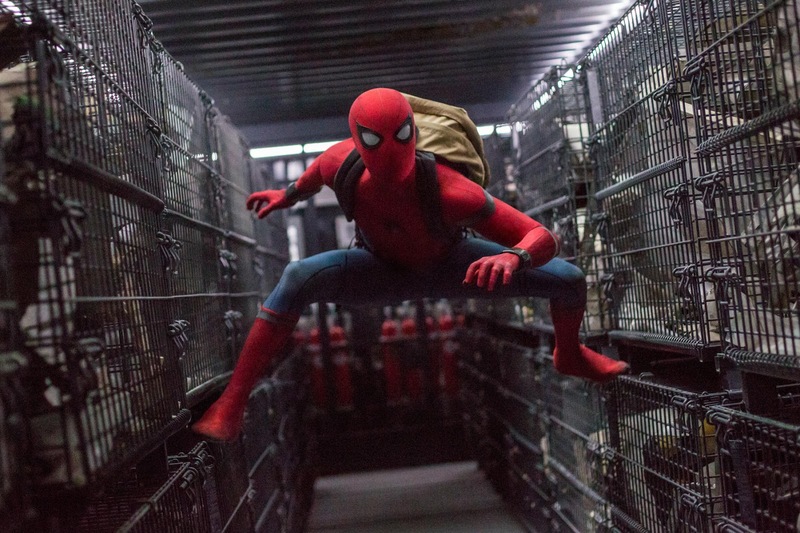 The funny final moment represents the picture as a whole, because “Spider-Man: Homecoming” is pure fun and humor throughout it's entire runtime. While surprise and awe here isn't quite as powerful considering this is the sixth Spider-Man feature film (though watching Spider-Man soar through the air is an image I'll never tire of, but I can say it's not quite as breathtaking as it first was fifteen years ago), the film features everything you could really want in a Spider-Man film: witty dialogue, fun action scenes, and super powers as a metaphor for adolescence and teen angst. Even if this is already the third cinematic iteration of the character, the filmmakers are obviously striving to give us something we haven't quite seen before. Gone are images of the Daily Bugle, the love interest Mary Jane Watson, and best friend Harry Osbourne. We don't get even get to see how Peter Parker becomes Spider-Man because there's only so much you can do with that iconic origin. 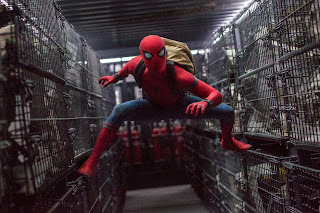 Working a sort of sequel/spin-off of “Captain America: Civil War” we get Peter Parker (Tom Holland) as a kid just learning the ropes of being the friendly neighborhood wall-crawler. He's good at busting simple thieves but strives to be something more, like most teenagers do. Peter Parker wants to be everything all at once, he wants to be Spider-Man and an Avenger. Tony Stark has made Peter a fancy Spider suit with fancy technology and so many different types of web shooters it borders on excessive. Director John Watts and the gaggle of writers have brought a more teen-film focus to the story of Peter Parker. Peter attends a science-focuses high school with his best friend Ned (Jacob Batalon), his mortal enemy Flash Thompson (Tony Revolori) and his love interest Liz (Laura Harrier). A majority of the film feels like a John Hughes teen comedy and rightfully so. The original Toby Maguire series didn't quite feel that way, though the unresolved “Amazing Spider-Man” series was more on that track seeing as though director Mark Webb had previous helmed romantic comedy fave “(500) Days of Summer.” Meanwhile, Michael Keaton returning to the world of superheroes even after a mild detour into the somewhat meta “Birdman” portrays working class Adrian Toomes who becomes an arms dealer with an interest in the alien technology left over from the Battle of New York from the first “Avengers” film. He will become the villain Vulture and the humanity in the character is a rare return to form in the Marvel universe where most villains are God-like or crazy mutants. It's a perfect balance to the humanity and realism the film tries to focus on. Only the film's score fails to deliver a memorable theme though it's no real fault of composer Miachael Giacchino; most of the Marvel scores aren't very memorable (however, a killer soundtrack more than makes up for it). On the other hand, the downside of replica watches is that in one way it could be considered a form of stealing. Like buying bootleg copies of CDs or replica watches sale or illegally downloading music from the internet. You'll have to make that call but rolex replica the copyrighted designs of the fake rolex sale. Plus, the whole purpose of luxury brands is to not cater to just anyone. They are manufactured and designed with the utmost quality with full knowledge that as a result, their cost will be prohibitive for most fake watches people. However, if you're ok with the whole copyright thing and your heart is set on buying a fake breitling; then, as the old saying goes, "buyers beware". Just because it's relatively dirt cheap doesn't mean its bargain. You still need to exercise caution and wisdom before you buy. Based on your preferences, you can select any full movies on allucorg. In spite of the fact that it is still not possible to watch the hottest movies on YouTube, an increasing quantity of movies are offered free of charge watching.